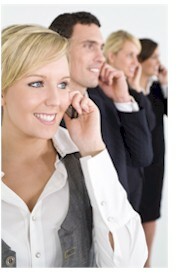 Predictive Dialers Outpace Traditional Predictive Dialing Systems. The Database Systems Corp. (DSC) predictive dialer is a call center phone system that processes inbound and outbound phone calls for small to large telemarketing centers. DSC provides digital phone predictive dialers (PACER) and analog phone systems (WIZARD). Predictive dialers make outbound calls and only connect a call to a service representative when it detects an individual on the line. In a traditional manual outbound call center, without the use of predictive dialers, service agents are talking on average only 20 - 30 minutes out of an hour. Predictive dialers have demonstrated talk times in the 45 - 50 minute range, giving you an increase in productivity of nearly 100%! The use of predictive dialers translates into direct savings, either by allowing your call center to handle more calls per day with the same number of agents, or by allowing you to reduce your staff significantly while handling the same call volume. The PACER phone system performs traditional dialing as well as predictive dialing. But with its enhanced features and flexibility, Pacer predictive dialers support another advancement in outbound telemarketing called "Smart" predictive dialing. Contact DSC for a FREE analysis and quote and to learn more about our predictive dialer and call center phone systems. Most outbound calling campaigns that use predictive dialing experience a low response rate from called individuals. Your call center agents are talking more on the phone but experiencing a high level of frustration because of such a low interest level. The PACER, with its outbound IVR feature, can help qualify leads by not only detecting an individual on the line, but by playing a pre-recorded message up front. This message can be a consistent, high quality introduction to your company, products or service. Through interactive touchphone selection, your customer or prospect can now choose from various options. One choice may be to talk with your agent, leave a voice message, request another call back time, or simply express no interest. Calls that are passed to your agents are far more qualified and the probability of a successful call with this individual has increased dramatically. Since the phone system is doing the introductory qualification, you will need fewer agents to handle these calls. Your agents will no longer be repeating over and over the same introduction - now they will be talking with an interested and qualified party. If your business requires live agents responding to calls, we can connect your phone representatives to our phone system in several ways. If you have an existing web or PC application that requires integration with our predictive dialer, we can provide you with a complete CTI library of phone related functions that you can embed in these applications. Second, our sophisticated Web Phone can be used with an existing Web application, without any modification to your existing web programs. And finally, our Softphone application can reside on your agent's PC that simply gives your operators phone functionality from the desktop. Database Systems Corp. also provides a complete CRM application for centers that require this type of contact management solution fully integrated with our predicive dialer. With all of these options, your phone representatives can be working from your office where our predictive dialer resides, or they can work from home over the internet. DSC offers an affordable predictive dialer that utilizes analog phone lines. This is NOT a kit or a product put together in someone's garage as a hobby. This predictive dialing system includes our WIZARD soft phone or comes optionally with our cti software development toolkit. Predictive dialing campaigns can be defined easily using our setup wizard or we can provide you with a custom dialing campaign. These applications are easily ported to our digital phone system (PACER) when your call volume requires a larger system. 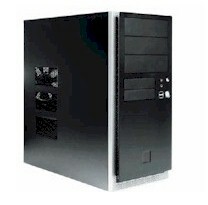 The PACER predictive dialing system can be purchased as a complete turnkey system. We also license our predictive dialer software separately. Database Systems provides CTI Software that lets you embed predictive dialing and telephony features in your own PC, Linux, Unix or Web applications. 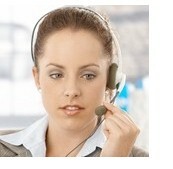 And now Database offers predictive dialer outsourcing at our Predictive Dialing Services center facility. Automatic Phone Dialing - This traditional method of calling dials a number from a phone list when one of your agents is available to take a call. When the number is dialed, the phone system transfers the call to the agent. This method relieves your agents from the tedium of manually dialing phone numbers and paces their workflow. This type of calling is appropriate when your outbound campaign needs more personal interaction or when performing business to business dialing. Voice Message Broadcasting - This is another method of calling where the phone system dials from a list and plays a pre-recorded message either to an individual or to an answering machine. An agent is not required. This technique could be useful when you wish to inform a potential customer of an upcoming event, or to provide instructions on how to contact you. Message Broadcasting and Touchphone Response - This method expands the prior message broadcasting technique by playing a message that gives the potential customer options from which to select. Using touchphone responses such as "Press 1 for...", options could include obtaining additional information, being removed from the call list, methods of obtaining your product or service, leaving a voice message, or speaking with an agent. A different message can be left on an answering machine. Predictive Dialing - Predictive dialing is very similar to automatic dialing, except the phone system dials several numbers ahead to reduce the amount of wait time between calls that your agents handle. This greatly increases your agent productivity, but may lead to dropped calls when the predictive dialing system contacts an individual when no agent is available. "Smart" Predictive Dialing - This type of calling campaign blends Message Broadcasting with Predictive Dialing and can produce very productive results. Messages are played to potential customers, and if the individual expresses an interest in your product or service, the call can be transferred immediately to one of your agents. A separate phone message can be left on an answering machine. Dropped calls are virtually eliminated with this method of predictive dialing. Since the PACER predictive dialer can perform all types of dialing, you can experiment with different methods on the same campaign. Recorded messages can be played to some prospects, while other prospect calls are passed immediately to your agents through traditional predictive dialing. The PACER is flexible enough to adapt to what works best for your call center! Don't Ignore Those Answering Machines! Another advanced feature of the PACER predictive dialing phone system is its ability to not only detect answering machines, but to leave a pre-recorded message on this machine. Statistics have shown that an individual is 2 to 3 times more likely to respond to a marketing message left on an answering machine than to respond to a mailer. 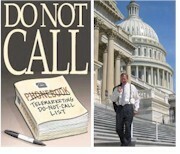 Most traditional predictive dialers just discard these calls or at best, schedule this number to be redialed later. These dialers are ignoring the potential of getting additional leads and business by leaving a targeted message. An important benefit of today's telecommunication advancement is the ability for your employees to work from home. Database Systems Corp. has developed a family of telecom products that facilitate and promote this capability. Our PACER call center phone system, combined with our CRM application software and computer telephony products, fully supports remote agents. Now your workforce can be significantly expanded with the addition of work at home employees. The economic savings and environmental advantages are significant. To obtain additional information about our remote agent capability, you may view our Remote Agent page. Database Systems Corp. has prepared a full length presentation of our PACER predictive dialing system with CTI software and softphone that you can easily download and view. Included in this presentation are several different CRM and PACER campaign demonstrations along with an explanation of our CTI capability with online reports. This presentation includes PACER's robust features plus a tutorial on predictive dialing. Also included is a presentation on remote agents and web integration. Simply click on the image to your right to start the download process of our Predictive Dialers Demonstration. The PACER phone system is far more than just an autodialer and outbound phone system. The PACER predictive dialer has complete inbound call distribution capability including its own ACD system and an optional IVR system. Callers can be prompted to enter an account number, type of service required, etc. and PACER will provide the requested information or transfer the caller to the appropriate service agent. The PACER can blend all of these tasks together, making your call center a complete and powerful service center. 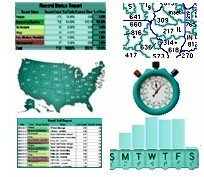 Reports can be obtained quickly and easily, giving you an accurate and timely view of your center's operation. Plus all or selected inbound and outbound calls can be recorded for quality assurance and legal purposes. Contact DSC to learn more about our telemarketing equipment and predictive dialing system.